Plumbing So Easy A Child Can Do It! 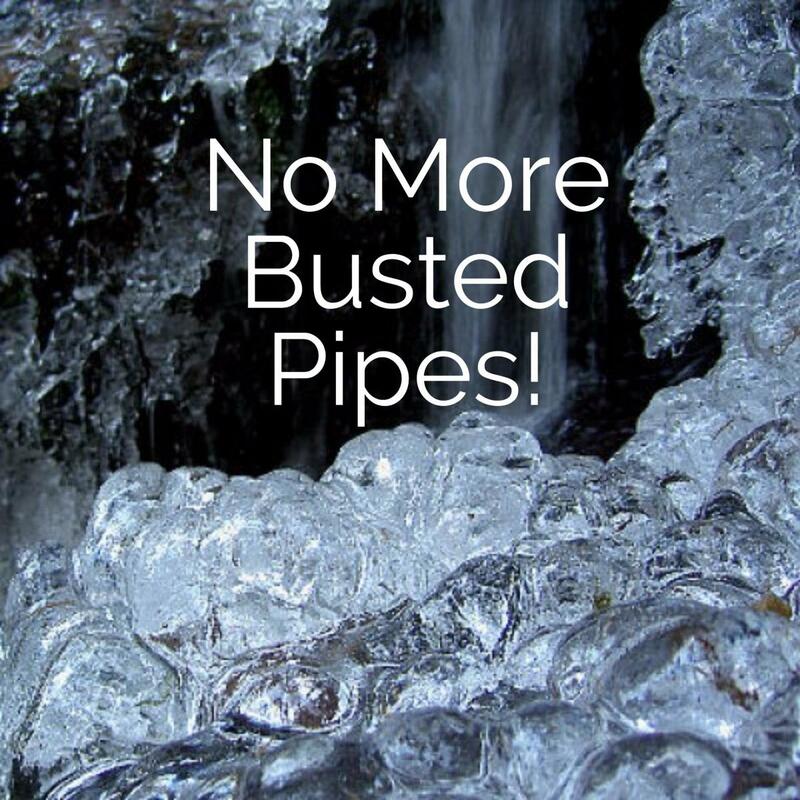 Frozen Pipes Causing You Stress? Enter Old Man Winter...and all that comes with him. Like broken water lines that are now making a pool out of your basement or have decided your ceiling on the floor was a little more, Feng shui. You need to get that fixed and fast! Can't afford a plumber? Well I think you've come to the right place. 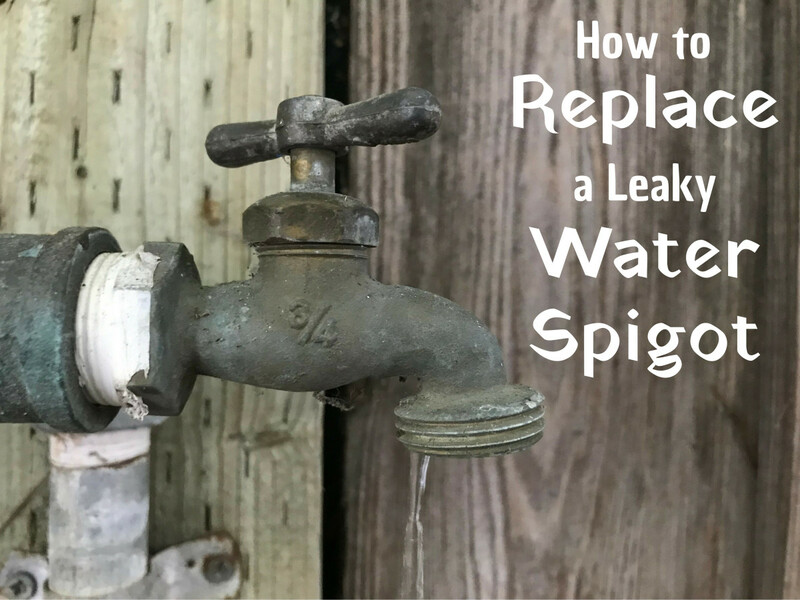 I'm going to show you how to fix your leak, or even add in a new water line, without any torches or high cost specialty tools at all. No experience required. You can fix that leak and move on with getting your life back in order. Whether it's copper, cpvc or "pex", push fittings (a.k.a. "SharkBites") have made it simple to make nearly any repair or improvement needed to your water piping system. Using a push fitting couldn't be simpler. The name says it all. Just "push" the push fitting onto the pipe you are connecting to. You should feel it sort of click or grab the pipe twice to know it's on all the way. Of course make sure the end of the pipe is round and smooth to insure a good fit but it doesn't even have to be dry! 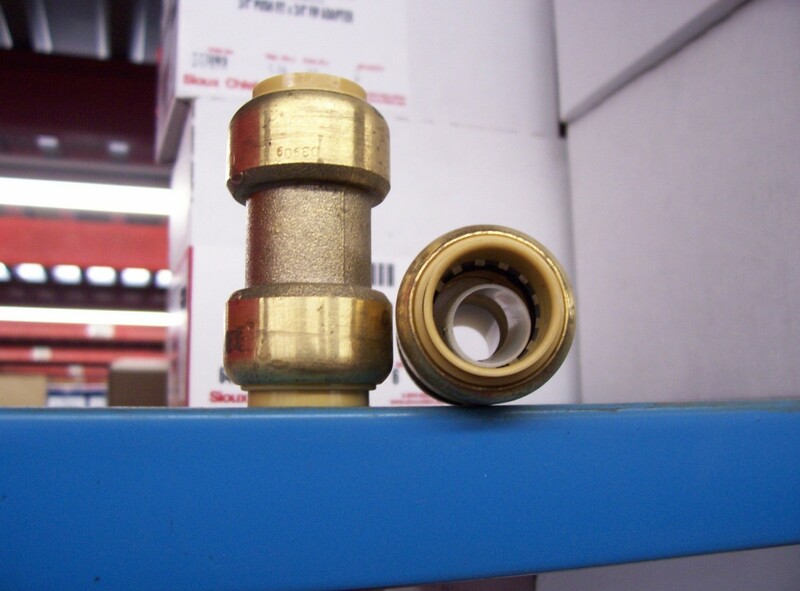 Consider keeping an assortment of SharkBite fittings on hand, like the one pictured below, so that you can quickly repair any issue as it comes along. This is the SharkBite fitting kit I use. It's a solid kit and has everything you need to handle most common repairs without having to trek out into the snow and find a hardware store. This was one of the best investments I've made for a "just in case" scenario. It has saved my rear-end more than once. The button below will show you the one I use on Amazon. Though this article is simple to follow and easy to understand, there are a couple of things we need to be sure you do properly to avoid further complications. One of which is cutting the pipe. It sounds simple, and it is, but if not done properly it can throw a wrench into the whole process. Plastic Pipes: For plastic pipes like cpvc and what is commonly called Pex, or flexible water line, all you need is a plastic tubing cutter. (See photo) Much like scissors, simply place the cutters around the pipe and apply a bit of pressure while rocking them back and forth on the pipe. Once you've cut through the surface a bit, just squeeze and voila! your pipe is cut. Copper Pipes: Copper pipes are easy to cut too but one thing you need to keep in mind is if you rush this cut, you'll oval out the pipe and your new fitting won't work. Cutting copper requires a "copper tubing cutter" that you place on the piping, snug it down and rotate the cutter all the way around the pipe 3 or 4 times. Now, snug it down a little more and repeat this process until the cutter severs the pipe all the way around leaving a nice clean edge for your new push fitting. Over-tightening the cutter is what will cause the pipe to oval. Just take your time. Is there a plumber in you? 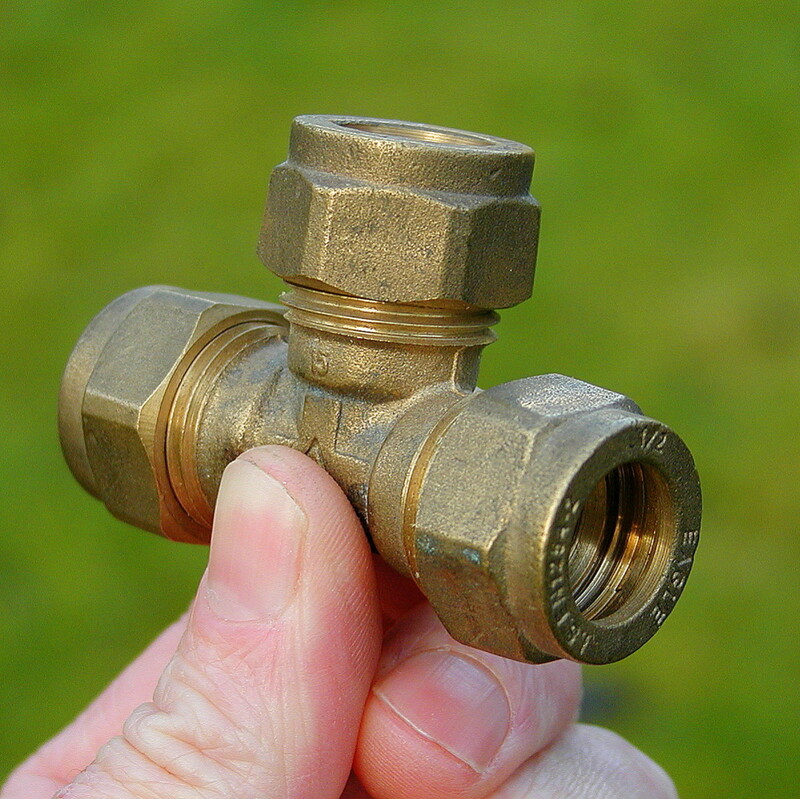 Having learned about push fittings, will you give plumbing a shot next time you have a chance? Yes. This is so easy! No way! Easy or not, I don't want anything to do with it. Come home from the hardware store! It's nice to be able to isolate plumbing sections using valves to different areas of the home so they can still be used while making repairs now or in the future. Now might be a good time to install a few if you don't already have them. Your water is already off and you'll be cutting into the line anyway so consider this if you can afford the extra few dollars worth of parts. You'll most likely need this SharkBite valve to get the job done (pictured below). It works with both copper and plastic piping and features a brass ball valve that can handle extreme temperatures and up to 200 PSI. So it's plenty strong and should last an extremely long time. 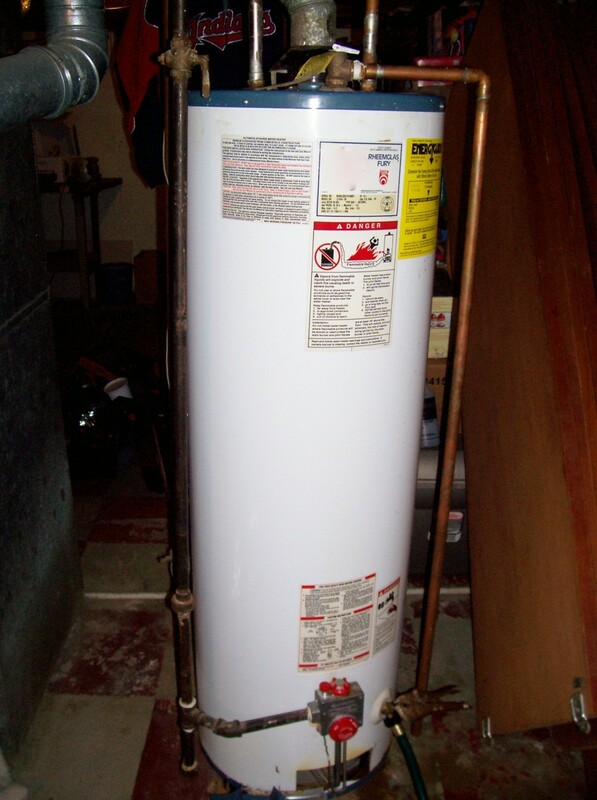 The first thing we need to do is figure out what materials and tools you'll need to perform this plumbing repair. 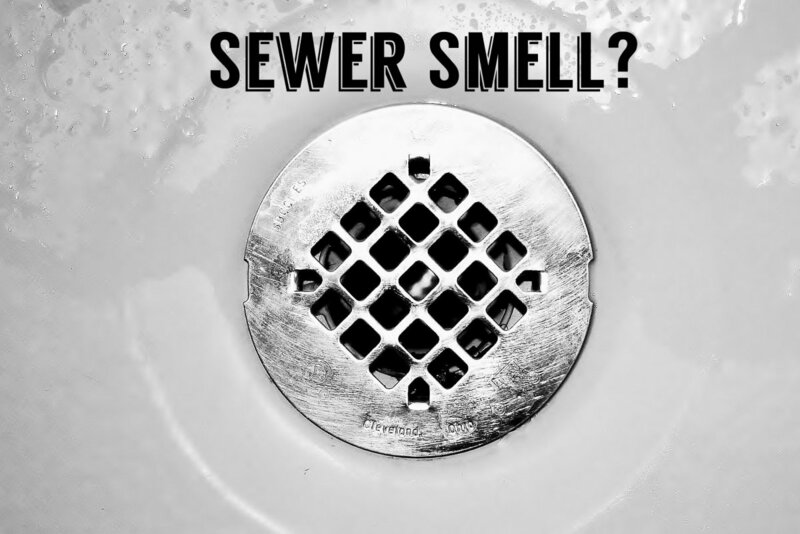 By now, you likely know where your leak is and have shut off the water supply to that area. If not, this is the first thing you need to do. 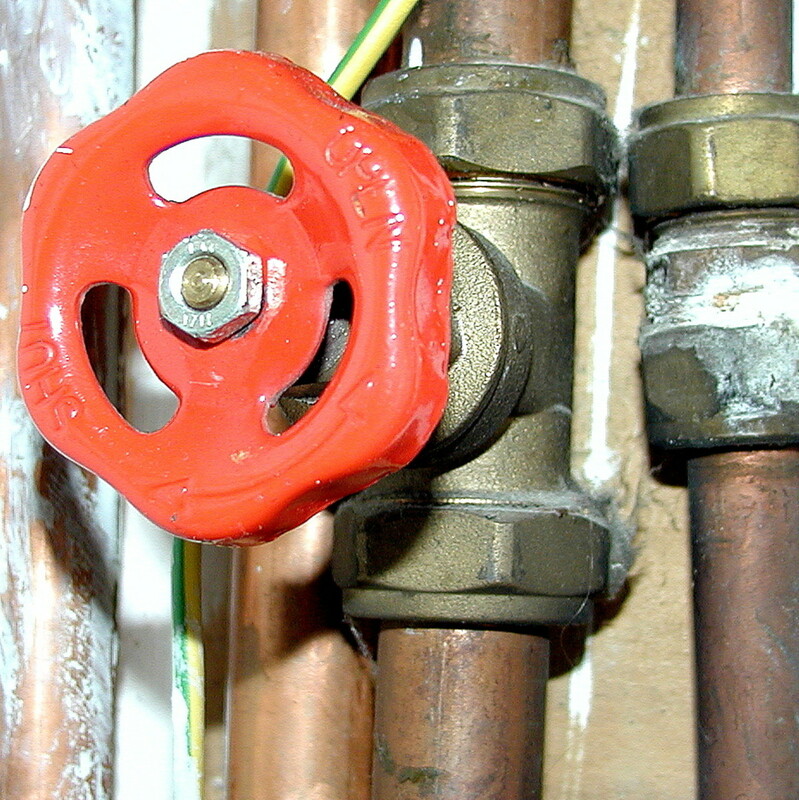 Shut it off at the nearest valve ahead of the leak or at the main or meter if need be. For our example, we're going to say our leak is a burst in a straight piece of piping that's a 1/2" in diameter since this is the most common type of application of size and location. This same process can also be used though for breaks in elbows and other such fittings as well as various pipe diameters. 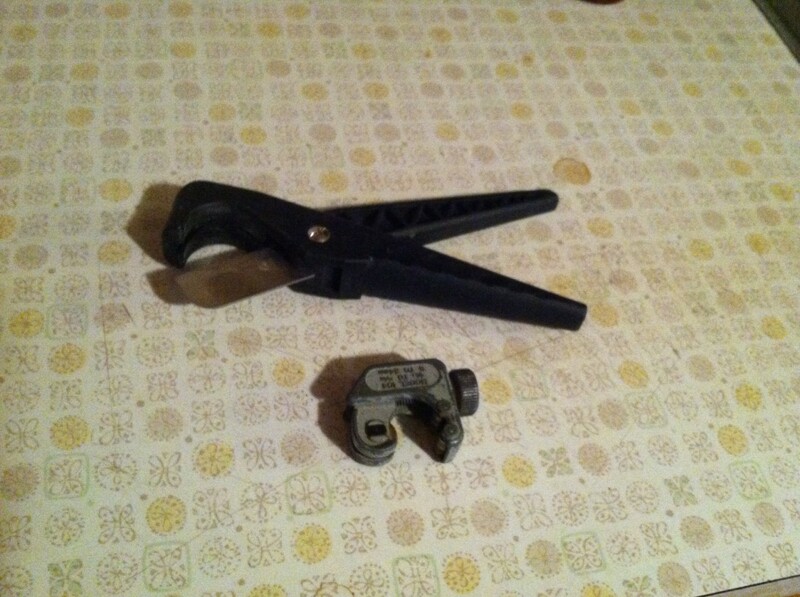 (The most common being 1/2", 3/4" and 1" in households and available part sizes at the hardware store.) Lastly, let's say the burst is approximately 2" long. A good sized break and perfect for our example. 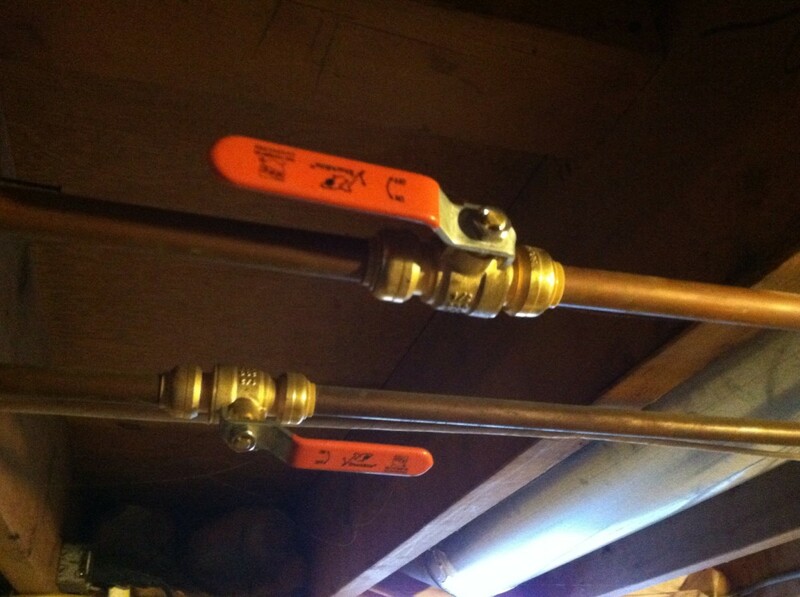 NOTICE: YOU CAN USE THE SAME TYPE OF PUSH FITTING FOR COPPER, CPVC AND/OR PEX PIPING! Remember that your new push fitting needs something to connect to. Though different brands of fitting may be different lengths, they all typically need a 1/2" to grab onto. 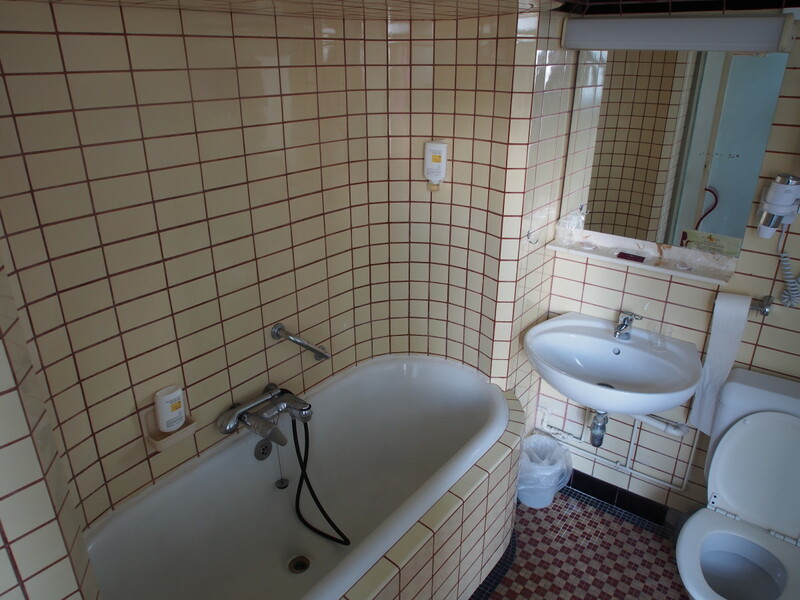 When you shut off the water and opened the lines, you allowed air into them. Once the repair is made, turn on a faucet or other fixture so that when you turn the water back on, the air can escape as the lines pressurize. Then, shut the fixture back off so that you get a true pressure in the line to test your repair's success. Make sure the cut is clean meaning there are no burrs and the outer surface of the pipe is smooth for a good connection. Sand down the pipe where the connection is to be made if needed. I know it seems like something might be missing but it's not. I've used these fittings on many occasions and the ease of use far outweighs the few additional dollars the parts cost. I can also say that first hand experience has shown me that after 10 years of use, the part still acts and looks as if it were brand new. Thank you for stopping by and I hope I was able to provide you some useful knowledge for this unfortunate situation. Hopefully, you won't need it! 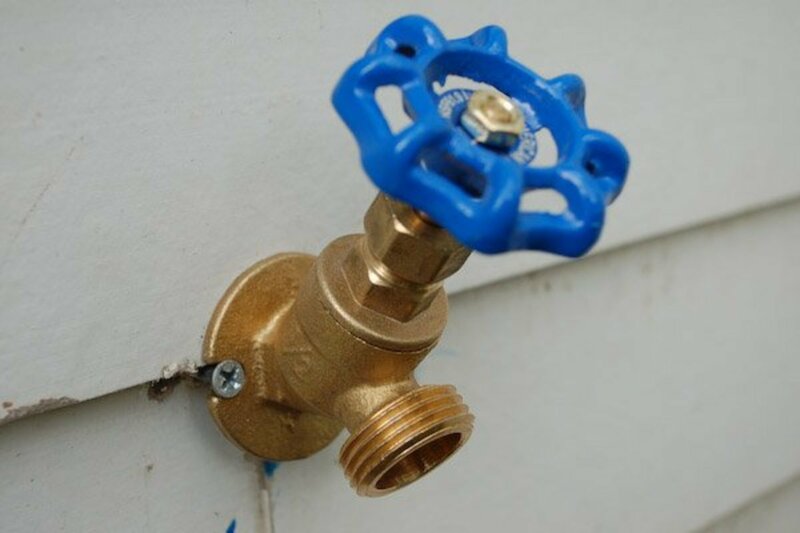 What is the other term or local name for push fitting/sharkbite? Gator Bites is one. I also know Legend makes one and Lowes has a brand...there are a lot of brands and names that I'm sure I don't know. If SharkBites won't work on galvanized, what will? Only other iron pipe type fitting will work there. However, push fitting manufacturers do make male and female adapters. These screw onto the galvanized and then you can switch to copper, cpvc, or pex from there. Will SharkBites work on galvanized, or cast iron? How do I remove push fitting from my pipe if it leaks? All the push fit brands have a removal tool you can buy for around a $1-$2. You just slide it over the pipe then press against the end of the fitting to remove it. Weak plastic pipe coupling is cracking near the main shut off valve. What do I do? I hope you didn't shut your main off. I don't believe I've ever seen a water main shut off with plastic piping attached. Either way if you have a crack then that section has to be replaced...hopefully with something up to code. There are products on the market that are a sort of tape that can "slow the bleeding" but are not permanent fixes. Will shark bites work on galvanised, or cast iron? Thank you!! Well we are doing what you said right now! We have a leak! Thanks lindacee! I hope so. It really is as easy as it seems. As always with my Hubs...Thank you for reading and I hope you never have to use it! I've never been one to tackle plumbing issues, but your Hub has given me the confidence that I might actually be able to repair a leaking pipe with a push fitting. Hope it never comes to it, but just in case I will keep your helpful Hub handy if the need arises! Voted up, useful and interesting.